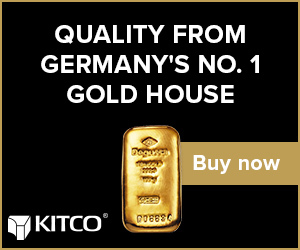 (Kitco News) - Monday’s blockbuster announcement that Newmont Mining Corp. (NYSE: NEM) will acquire Goldcorp Inc. (TSX: G, NYSE: GG) is a “deal we want to do” and grew out of the cooperation the two companies have already undertaken in recent years, said Gary Goldberg, Newmont’s chief executive officer. He outlined some of the background behind the megadeal in a joint conference call with David Garofalo, the president and CEO of Goldcorp. The companies announced a deal in which Newmont will acquire Goldcorp in a mostly all-stock transaction that values Goldcorp shares at $10 billion and will create the largest gold-mining company in the world, with output expected to be 6 million to 7 million ounces annually well into the future. The new company will be named Newmont Goldcorp. During his six years as CEO of Newmont, the company has sought to build strong relationships throughout the gold and mining sectors, Goldberg said. Officials said there is already some familiarity between the technical teams of the two companies. 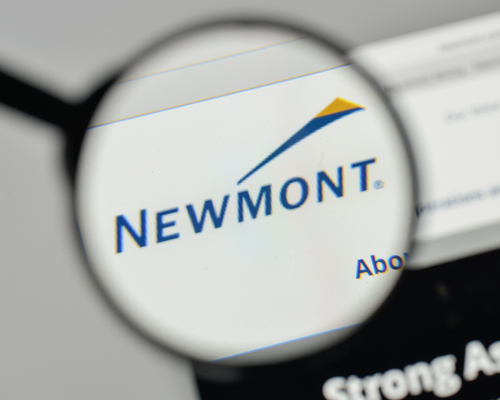 Goldberg noted that he has frequently commented in the past that Newmont continuously evaluates various opportunities and whether they meet the company’s criteria for value and risk. “Up until now, only one has met our criteria,” Goldberg said. “The transaction we are announcing today is another and one that positions our business as the gold-industry leader for decades to come. Newmont Gorldcorp will have gold assets on four continents, Goldberg said. The company will also generate revenue from other metals, including silver, zinc and copper. Newmont Goldcorp will have the world’s largest gold reserve and resource base, Goldberg said. In fact, he commented, Newmont was one of the few major companies to continue exploration efforts during the downturn in gold prices over much of the last decade. As of 2017, Newmont listed reserves of 68.5 million ounces, while Goldcorp had 52.8 million. More than half of the new company’s reserves will be located in Canada, the United States and Australia, Goldberg said. The rest are in Latin American, Mexico and Ghana. “Newmont Goldcorp will have the best project pipeline in the gold industry, providing the foundation for steady profitable production and cash flow for decades,” Goldberg said. The companies’ merger announcement said officials expect divestures of $1 billion to $1.5 billion as they narrow down the mines and projects they will maintain. Many of the queries during a question-and-answer session sought more specifics, but Goldberg repeatedly explained that officials will be going through an evaluation process to finalize those decisions. “Stay tuned as we go through this…,” Goldberg said at one point. The merger was announced on the same day that Goldcorp reported a big jump in its production during the fourth quarter. Previously, the company’s shares fell sharply after third-quarter earnings results showed a year-on-year decline in output. One stock analyst asked about the timing of the announcement since Goldcorp already had good news to report. “This [merger] was a unique opportunity to provide tactical and financial firepower to advance our robust project pipeline,” Goldcorp’s Garofalo said. Goldberg elaborated on the leadership of the company. He had intended to retire as CEO of Goldcorp in early 2019. However, he will continue through closure of the transaction and integration of the two companies, which officials say should be mostly be done by the fourth quarter. 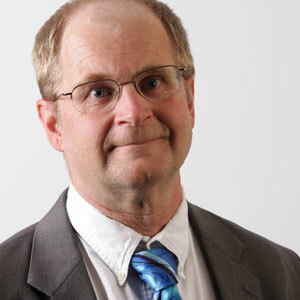 Tom Palmer will be president and chief operating officer. He had been slated to become Newmont CEO when Goldberg retired, and now will be president and CEO of Newmont Goldcorp, Goldberg explained. “Together, we will be responsible for appointing the remaining members of the new management team on a best-talent basis,” Goldberg said. As of the close of the transaction -- should it receive all necessary approvals, including those from shareholders – the board of directors will be proportionally comprised of members that are two-thirds from Newmont and one-third from Goldcorp, Goldberg explained. Noreen Doyle of Newmont will be chair, and Goldcorp’s Ian Telfer will be deputy chair. The headquarters of the new company will be in Colorado, where Newmont is based. However, the headquarters for North American operations will be in Vancouver, where Goldcorp is based. And, Garofalo said, the Vancouver office will be overseeing production of some 3 million ounces annually, up from some 2.5 million for current Goldcorp operations alone. He also said there would be a “reinvigorated exploration program” in Canada. “We’re very excited about this opportunity, and have clear implementation plans in place to transform two world-class companies into the world’s leading gold company,” Goldberg said of the merger.